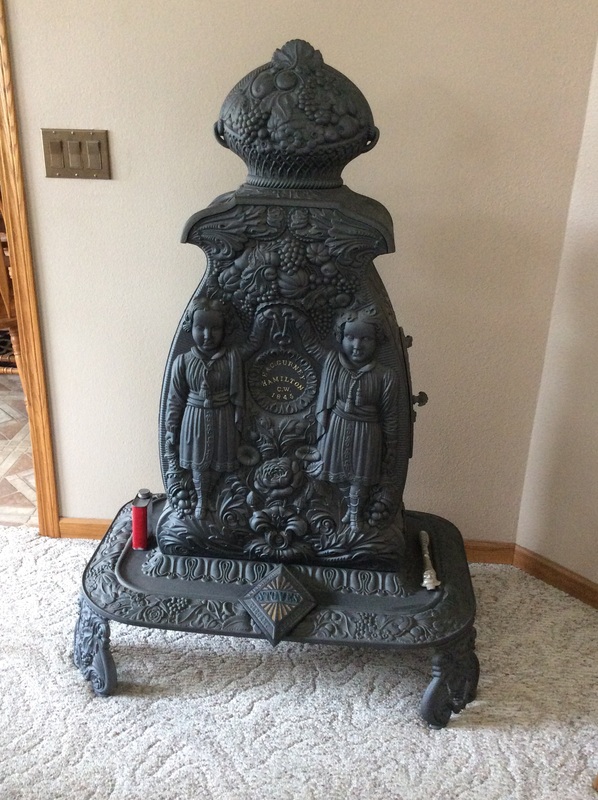 As mentioned in a previous blog, Grandma’s woodburning cook stove has resided in my garage for way too many years–25 or so. It’s time to fish or cut bait, in other words, either restore it or find a different home for it. 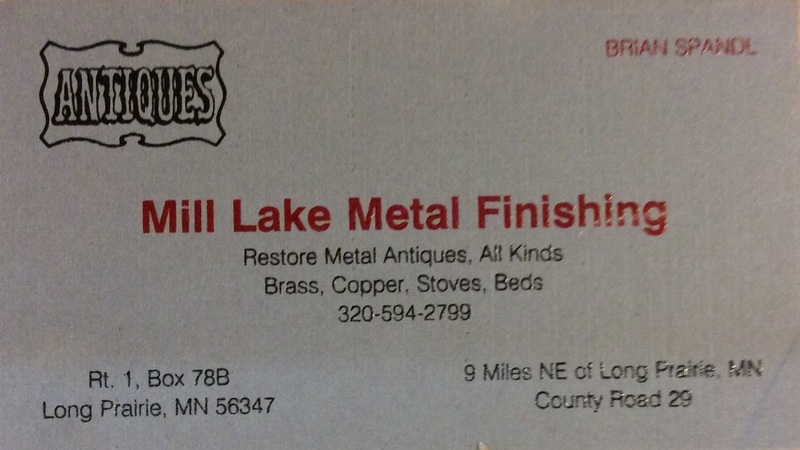 Finally found a nearby business whose only business is restoring vintage stoves, Mill Lake Metal Finishing near Long Prairie, MN. Although the business card states ‘Restore Metal Antiques, All Kinds’, a quick glance through the workshop only reveals stoves. The proprietor is Brian Spandl who sort of invented his business after working for others building water craft. 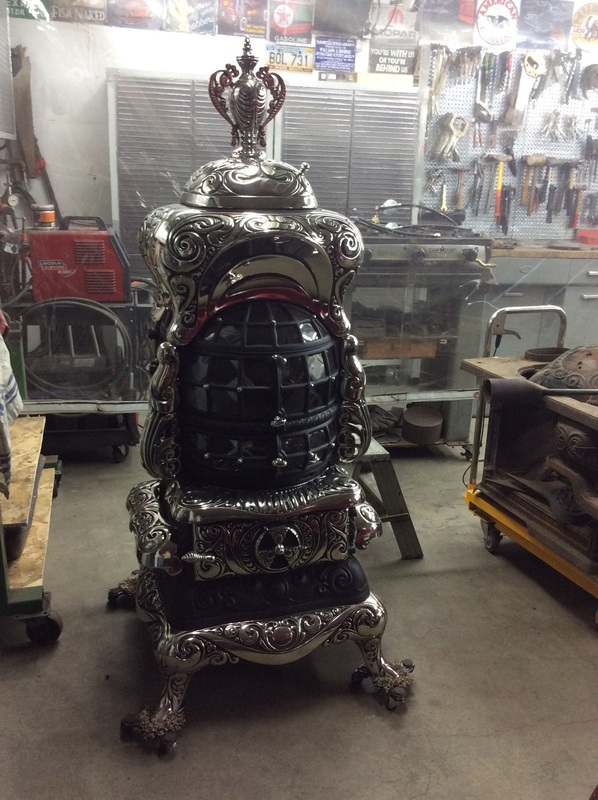 He began refinishing small metal pieces–teapots, creamers, silverplate, copper, etc., and gradually evolved into stoves, which are apparently now his one true love. Brian and a vintage stove in his home. The ‘fire’ is merely lighting. I found Brian on the Internet (where else). Took me many years of Googling before finding even one site relating to wood burning stoves. Ginger Creek Antique Stoves in the foothills of North Carolina proved to be the link to Brian. Turns out he does all the nickel plating for Ginger Creek. What a bonus to discover he lives 30 miles from me in West Central Minnesota. Contacted Brian but got very brief responses so knew an in-person visit was necessary to show him pictures of my stove and learn what he did. Time for a road trip. A couple friends and I headed out one morning with the idea of a quick stop (the friends to wait in the car during the brief visit) by Mill Lake and then on to Long Prairie for antiquing and lunch. Brian was in the yard so we all had to hop out to meet him, and his Mom, and the dog, and by then we were hooked by his infectious personality and obvious infatuation with stoves–who knew! I already had some ties to stoves but the Sue’s (both friends are named Sue) were just along for the ride. Needless to say, two hours later we were starving but loath to leave as everywhere we turned was another stove and another story. Brian has a knack for explaining technical terms so I quickly had an understanding of the processes to restore my stove. The plating and polishing for the nickel trim is chemistry and time-consuming handwork, but with amazing results. Here is a very professional video of the plating and polishing process. 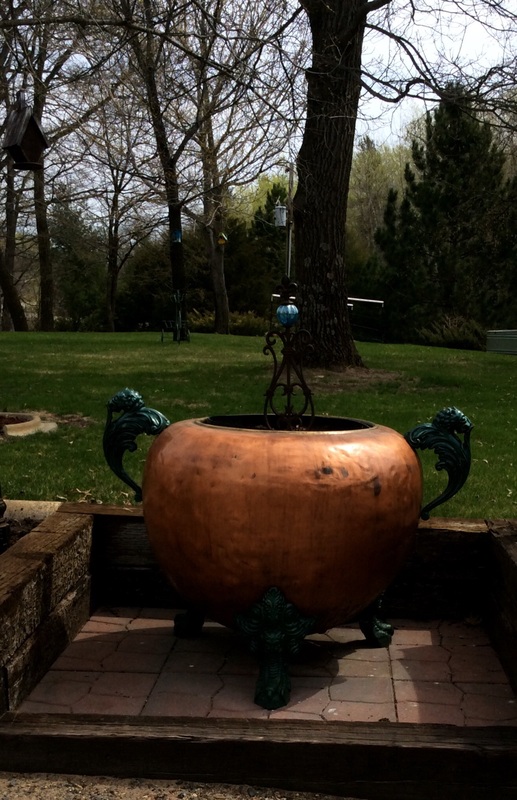 Brian gave us an entertaining, educational tour of the workshop, his home and outdoor areas that also feature many repurposed vintage items, e.g., an old ice box as a cooler on the patio, a huge copper chocolate pot as a planter. 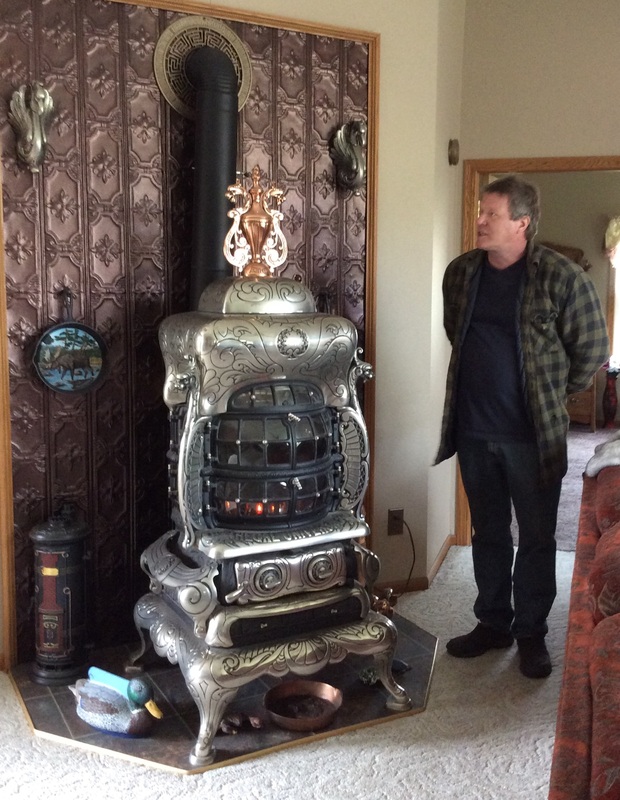 Following are photos from Brian’s workshop and his house; he has 18 stoves in his home and it is not at all crowded. Tours are available and any age, interest group will have an enjoyable time. 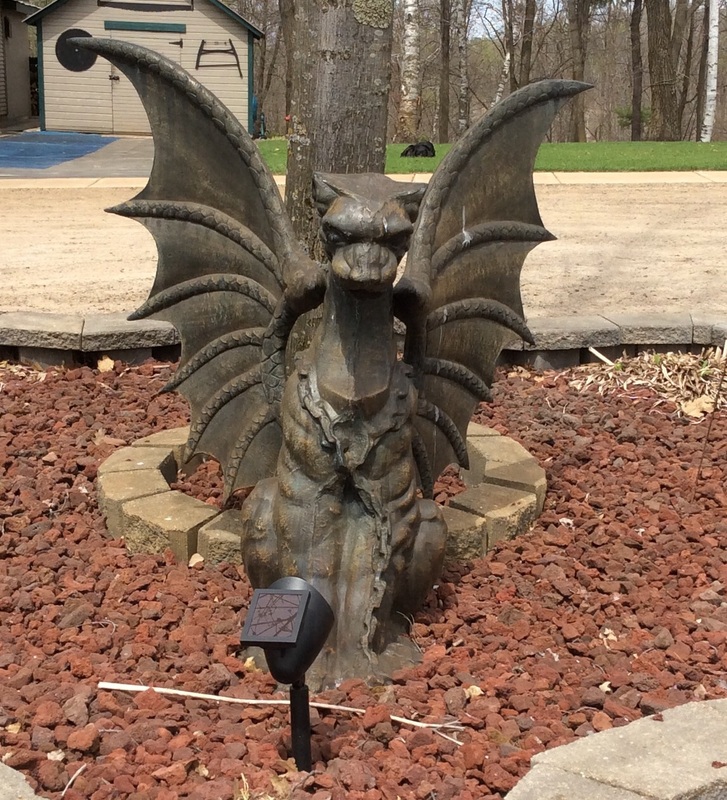 Agnes is the Gargoyle that greets visitors. Since I really don’t have a spot for a stove in my current home, am still debating about what I should do with it, can’t quite let go this family heirloom. It could look even better than this and would be the perfect prop for vintage cooking tools, cookware. 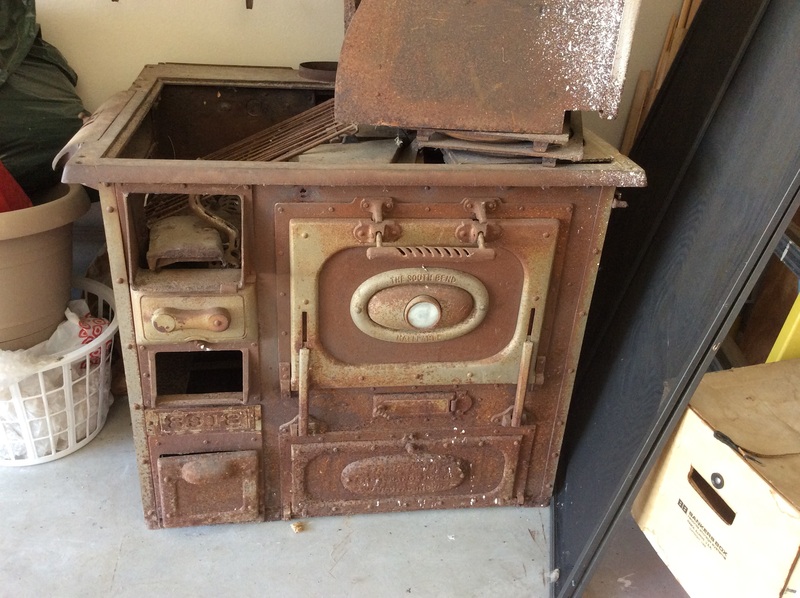 This is what Grandma’s stove would have looked like; even this one is not in pristine condition. 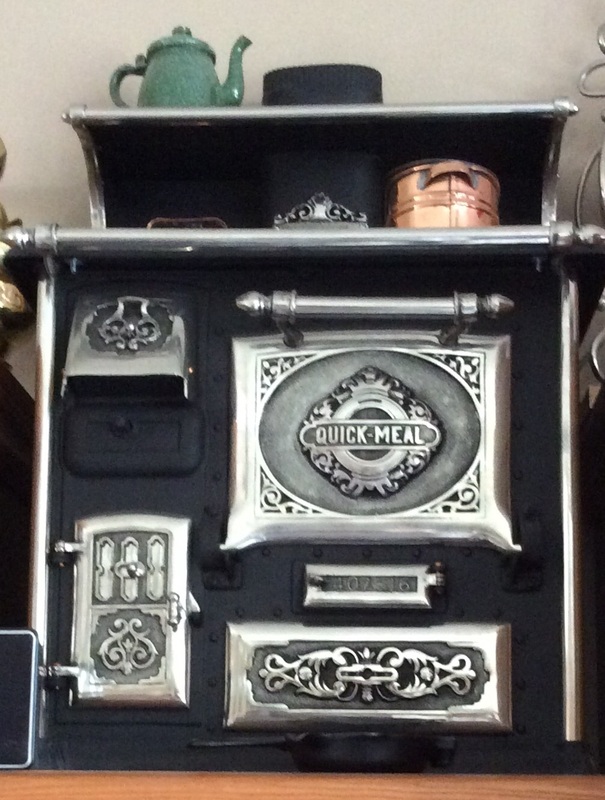 This entry was posted in OUT AND ABOUT and tagged Brian Spandl, Ginger Creek Antique Stoves, Mill Lake Metal Finishing, nickel plating, vintage cook stoves. Bookmark the permalink. Just found your blog. Brian Spandl once refinished a worn nickel-plated trivet for me and I highly recommend his work. 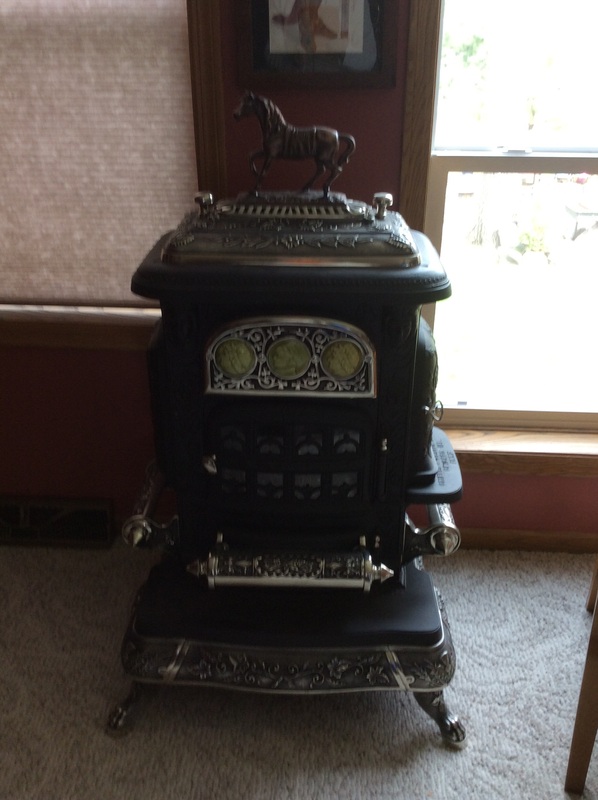 Just curious … did you ever have the stove refinished? 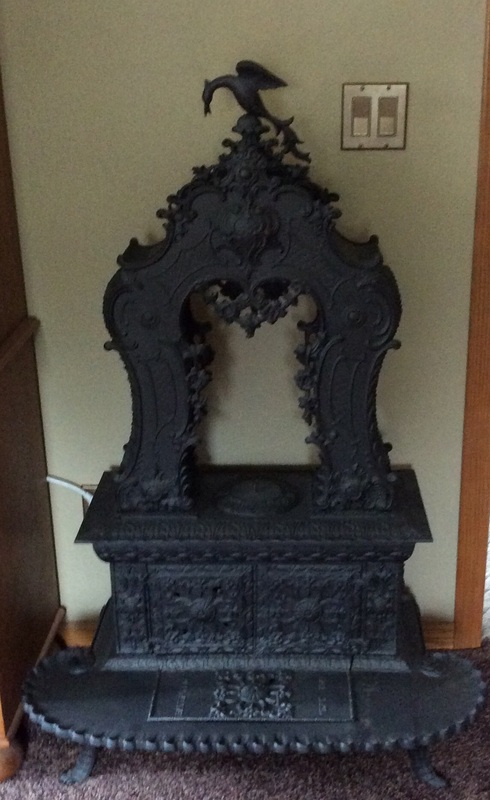 Will not be keeping stove–no space–so am debating whether it will sell better restored or unrestored. What do you think? 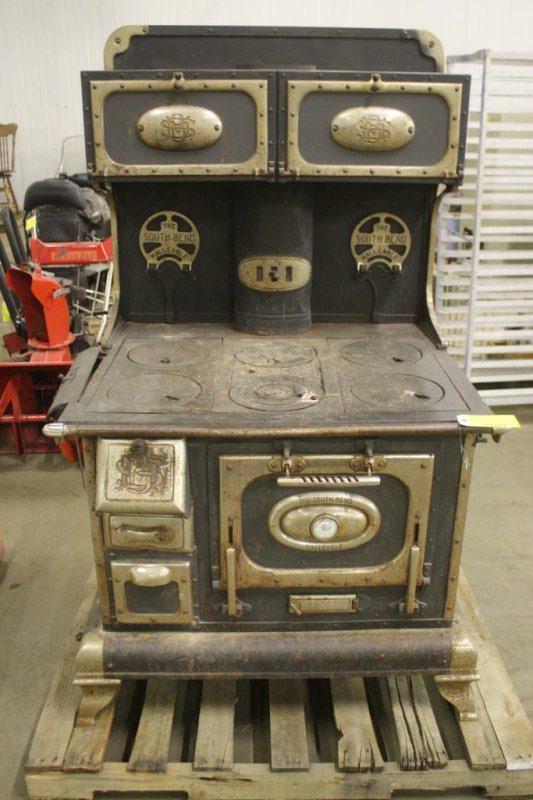 Is your stove for sale? How can I get in touch with you ? Have it listed on FB. Take a look. His work is amazing and very inspiring. 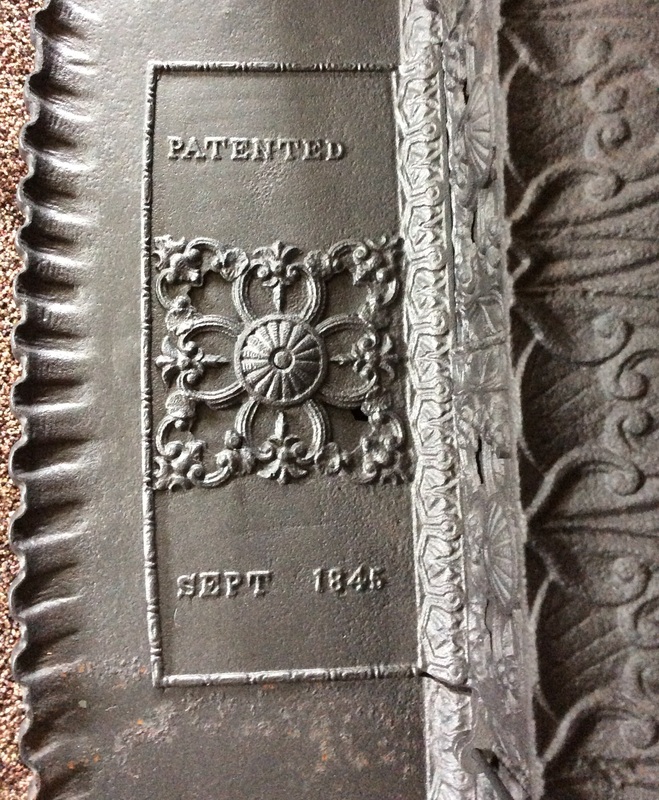 I think, myself, that it is a good idea to restore these if you can genuinely use them for heating or cooking. Just looking beautiful is not enough. Unfortunately, don’t know of any wood burning stove that would pass fire codes.